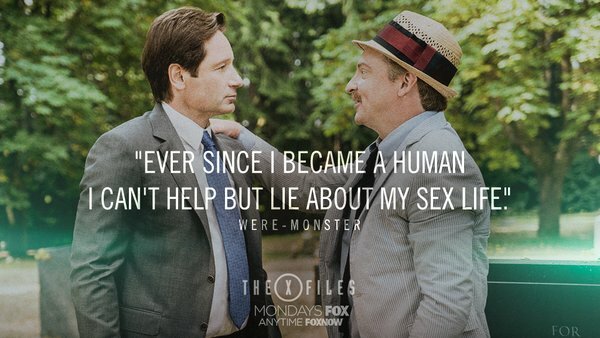 The X-Files has returned and I thoroughly enjoyed Season 10, Episode 3 Mulder and Scully vs the Were-Monster. Combat: Guy is concerned most about fleeing from his enemy or hiding, but will shoot blood from his eyes if cornered. Shoot Blood From His Eyes: When a character rolls a 1 while defending against Guy within Immediate range, he shoots blood in their eyes. The character has the Difficulty of all of their actions increased by 1 for one turn. 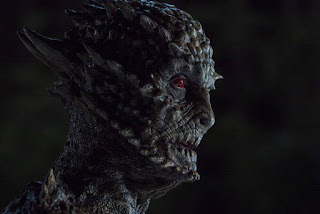 Use: Guy is humanoid lizard trapped in a world he didn't make and simply wants to hibernate for another 10,000 years and stop turning into a human.